We all agreed that while our current identity system had carried us far, we had outgrown it. 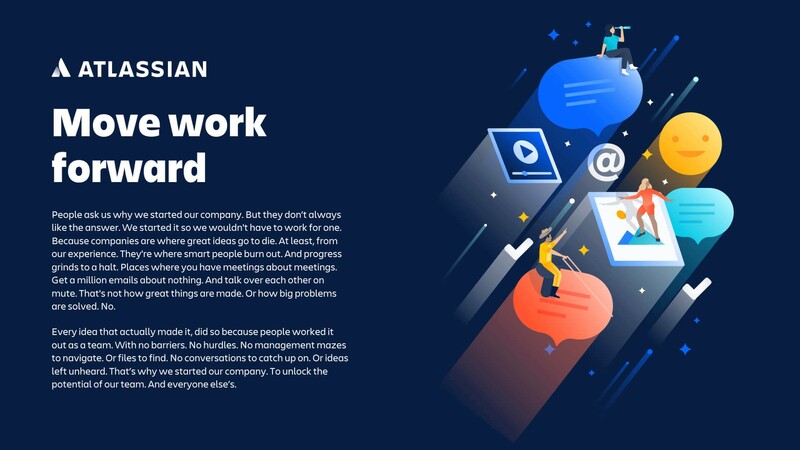 Our product and marketing experiences had changed considerably, as we had recently overhauled our UI design, color palette, and illustration style (which you can learn more about on atlassian.design). 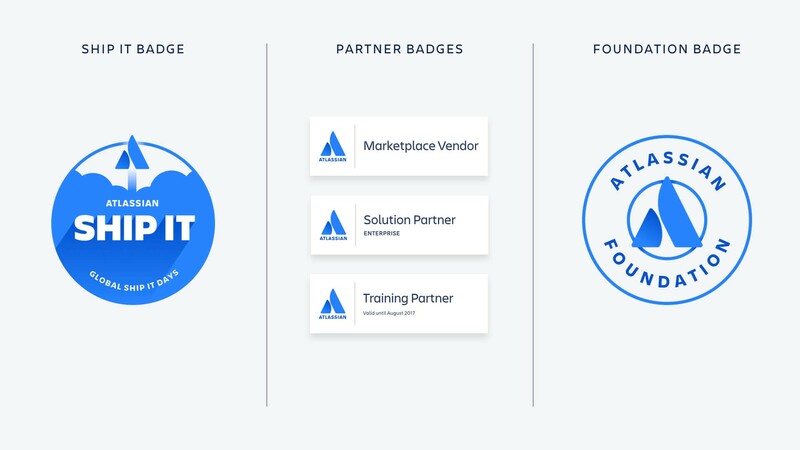 Also, our product family had grown — in the past year, we welcomed Trello, Statuspage, and Stride. 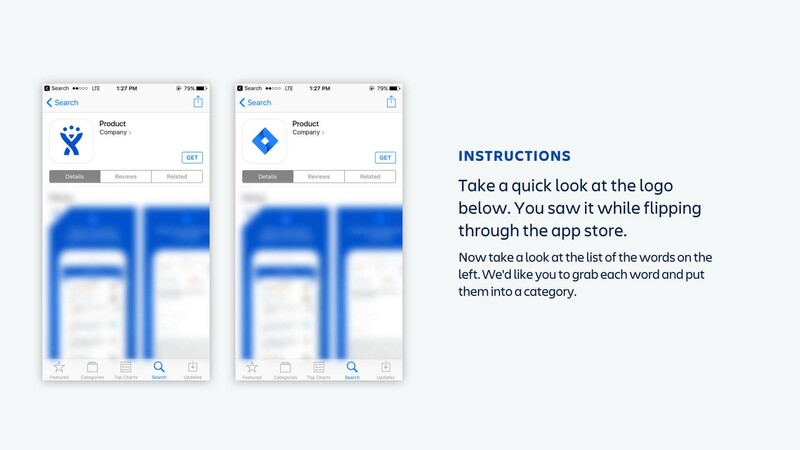 And yet, we had an identity system that wasn’t evolving with the business. 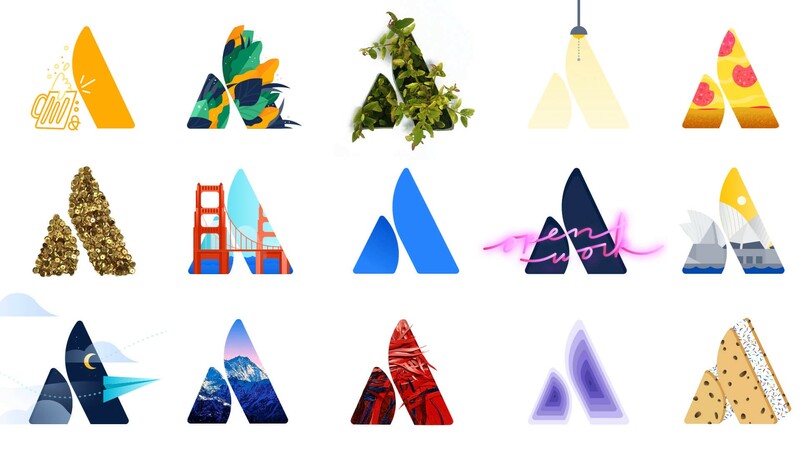 We had obvious stylistic inconsistencies across logos. 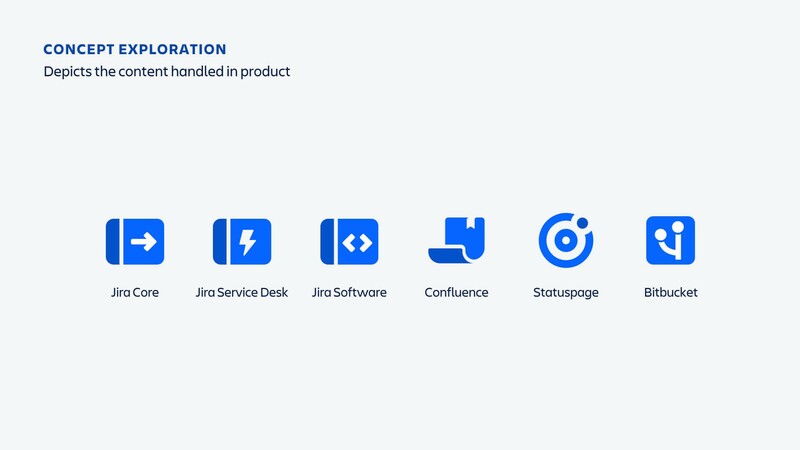 We had three (Jira) products with the same logo. 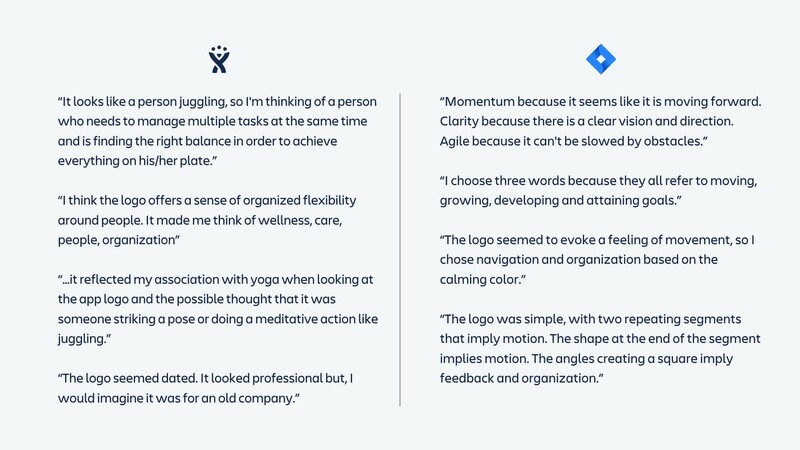 Our logo typeface — a customized version of Klavika — often suffered from legibility issues at smaller sizes, didn’t allow for the hierarchy we needed, and over time, didn’t feel like ‘us’. 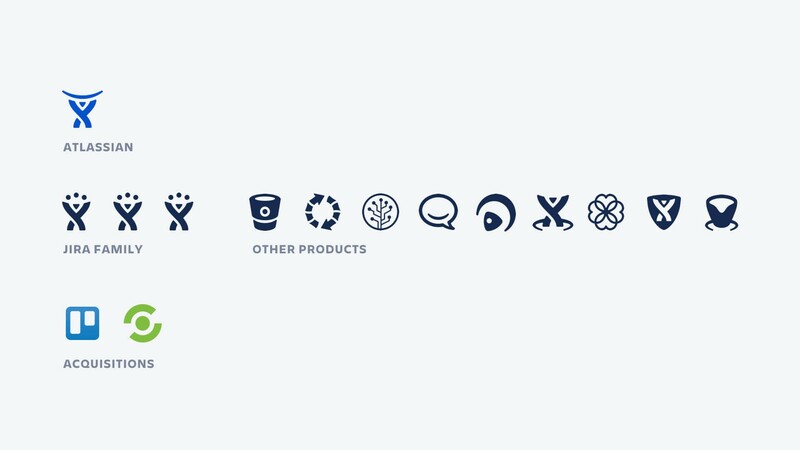 In addition, the connotation of many of our logos just didn’t…fit. 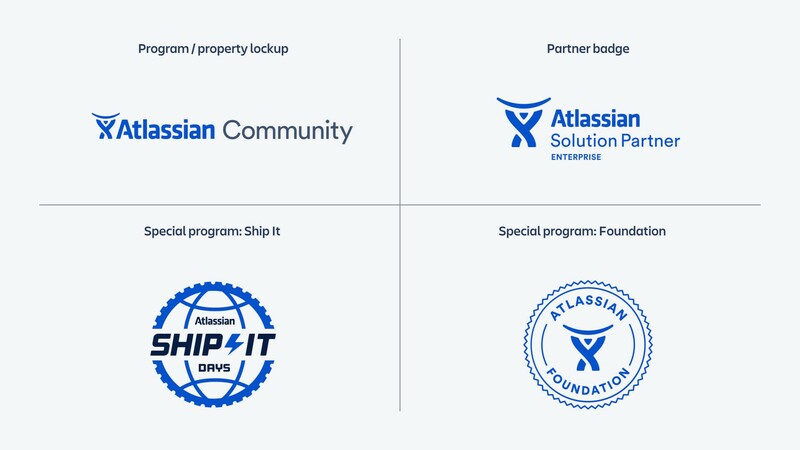 As an example, the original Atlassian logo (affectionately known as “Charlie”) was modeled after Atlas holding up the sky, as we used to be solely focused on service and support. 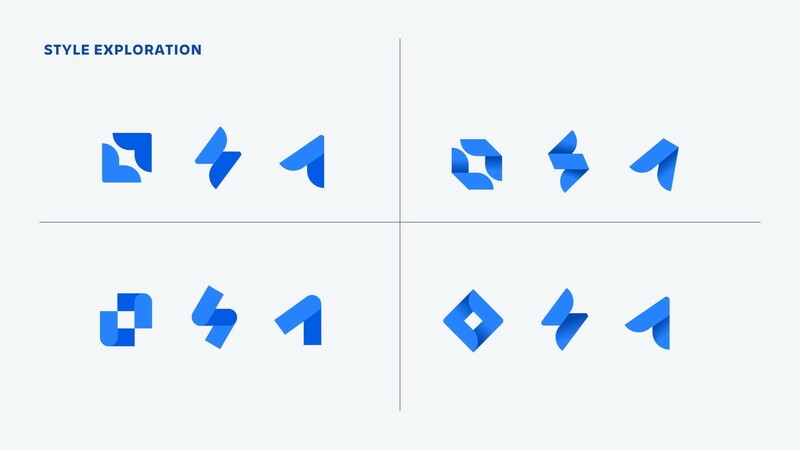 To help us further narrow on what each logo should represent, we considered the Spectrum of Abstraction™. 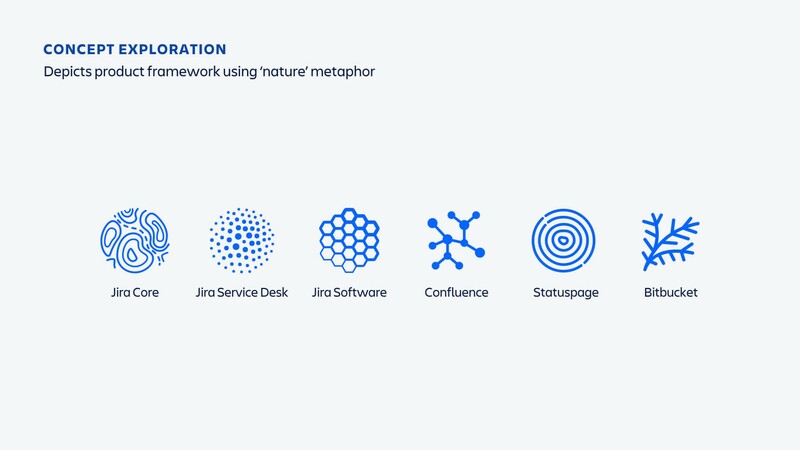 Basically, Jira Software could be represented by something literal (e.g., a ticket, which is a core product element), or something as abstract as an arrow (e.g., focusing on upward movement, progress, etc.). 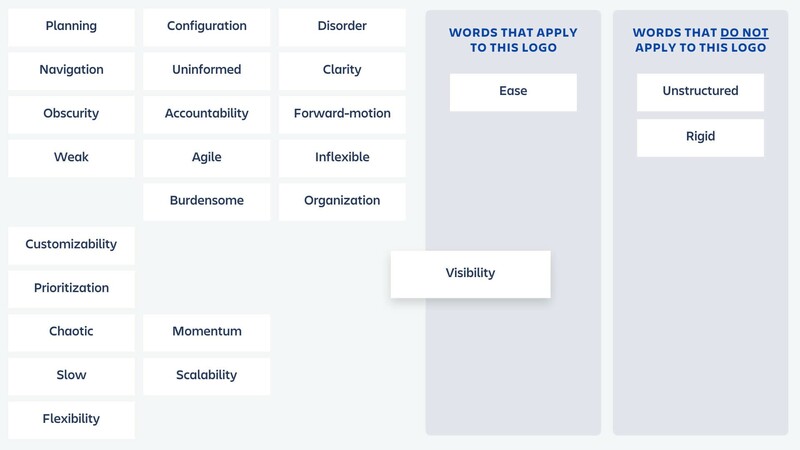 We also found that when we tried to execute on this ‘literal’ rule across the products, we still needed to utilize intangible, metaphorical concepts to communicate the nuances of each product. 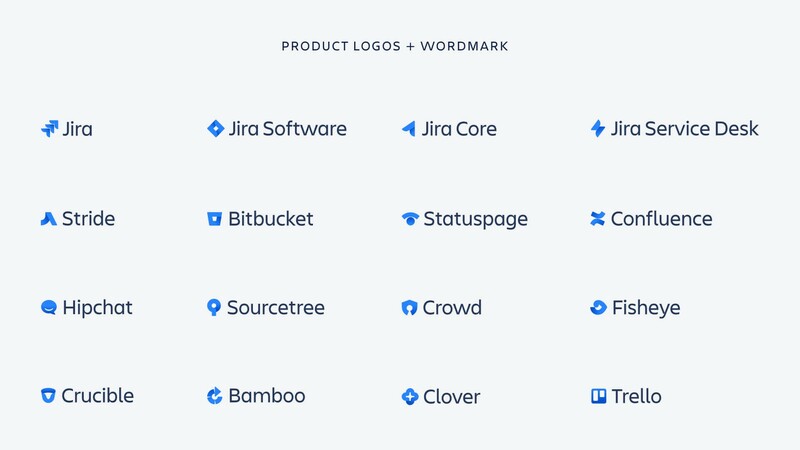 To add more complexity, our product names range from the abstract (e.g., Jira) to the descriptive (e.g., Statuspage, Bitbucket), which prevented us from using a purely “literal” style for every logo. 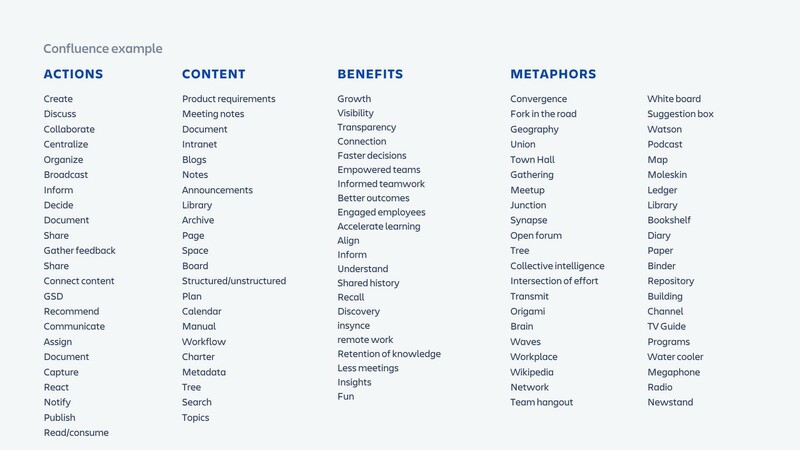 As a result, we found that the system was actually much stronger when we allowed ourselves to mix metaphors across the system, and then find an interesting, common thread tying the brands together. You can start to see the system — in its nascent state — form and gel (or in some cases, not) when given a conceptual coat of paint, or when brought to life through motion. 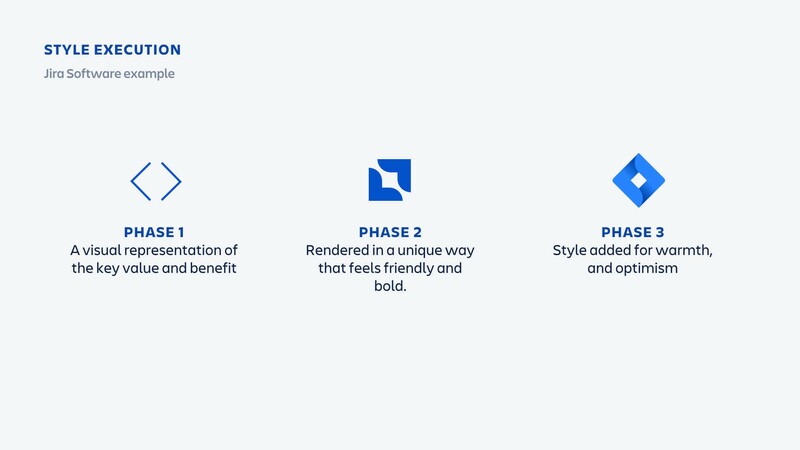 As was custom for this project, we did extensive research, and decided to go with a custom typeface that felt uniquely us. 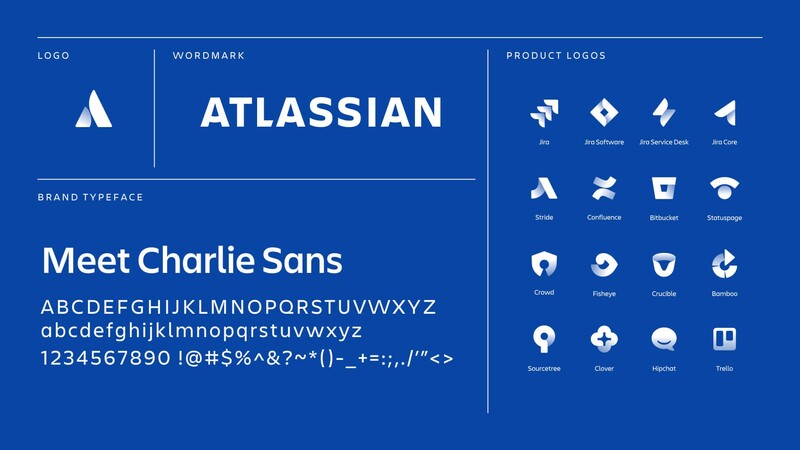 Charlie Sans, our new typeface, reflected the friendliness, optimism, and quirk in our personality, while paying homage to Charlie with the subtle arch in the “A”. 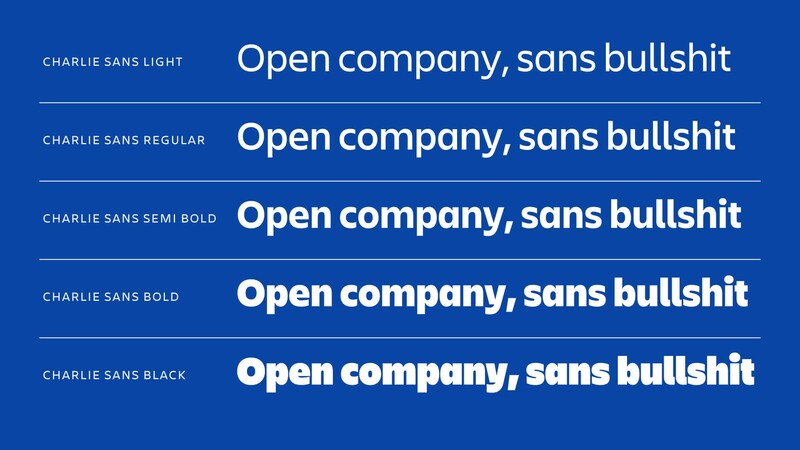 We’ve started with a display face for our logos and lockups. Because we had a solid list of contenders, we were able — and almost forced to — go with our gut. 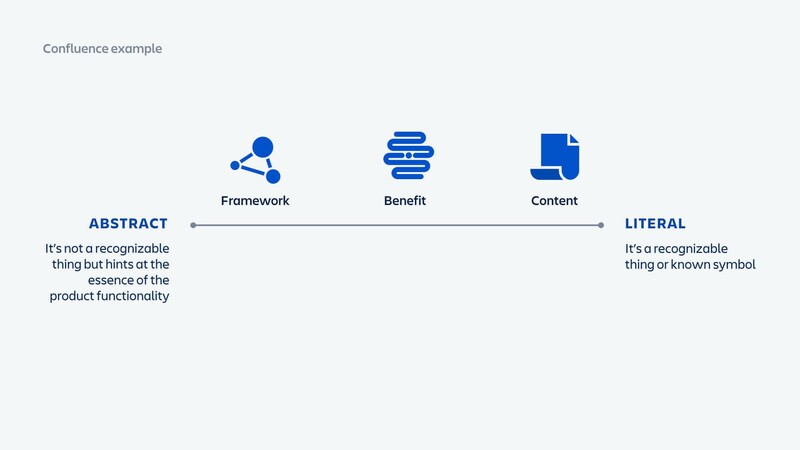 It meant us choosing a direction that just felt right for the company, now and in the future. 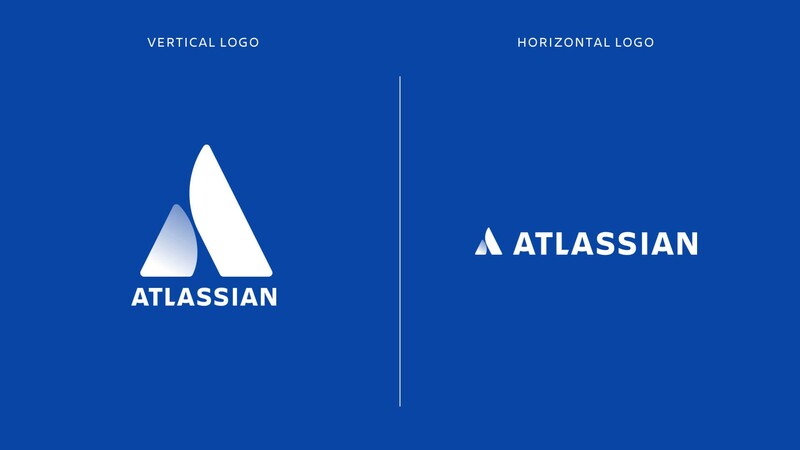 And in a truly magical moment, everyone on the extended project team (including our two co-CEOs) settled unanimously on the logo for Atlassian. 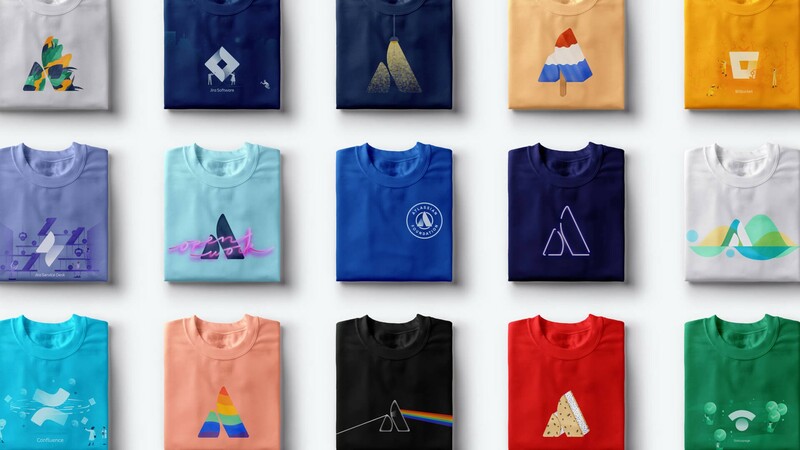 One person said that it reminded them of a high-five, another saw a path leading to a mountain summit, and another saw two sailboats racing in tandem. 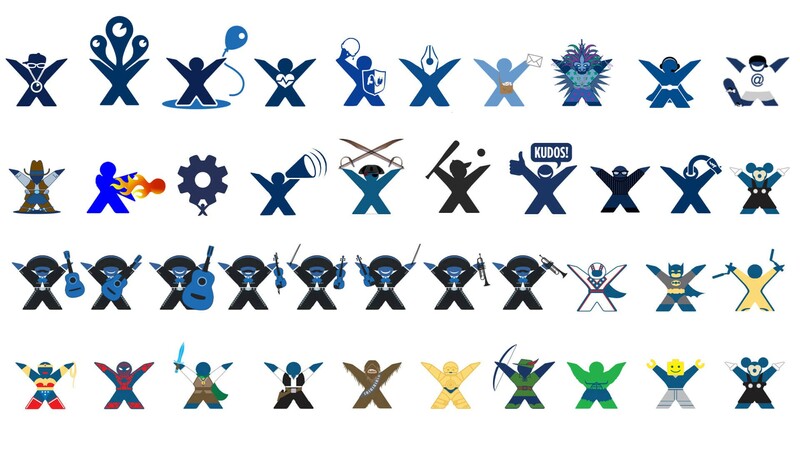 Creative director and illustrator who leads the incredible in-house creative team at Atlassian.